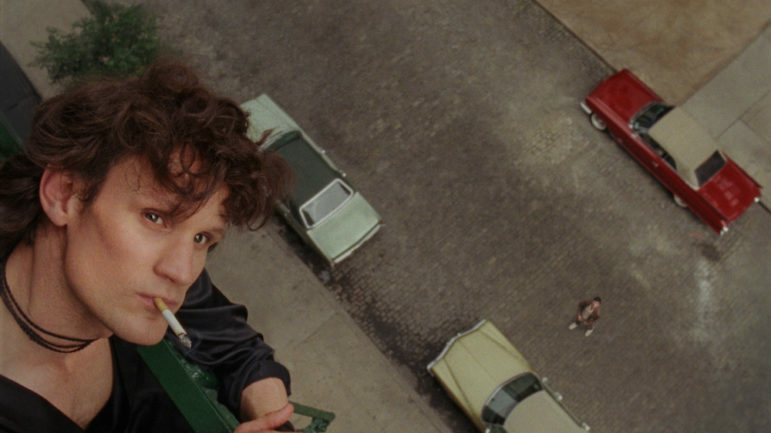 Matt Smith plays Robert Mapplethorpe in the movie produced by Watertown’s Eliza and Nate Dushku. Watertown’s own Eliza and Nate Dushku will be on hand to answer questions after a showing of Mapplethrope, the movie which the siblings produced. There will be two showings of the movie about one of the significant artists of the 1970s and 1980s at the Kendall Square Cinema in Cambridge. The shows — at 7:05 p.m. on both Friday, March 8 and Saturday, March 9 — will be followed by a Q&A with the Dushkus. Find out more about Mapplethorpe and get tickets by clicking here. The movie is for mature audiences. Eliza and Nate have been working on the movie since 2002 when they saw the original script. The movie stars Matt Smith, a British actor who is known for his performances in The Crown and Doctor Who. Mapplethorpe premiered at the Tribeca Film Festival in April 2018, and in July Samuel Goldwyn Films secured the rights for the movie. The pair worked on the project over the years, but found securing funding difficult. The Dushkusturned to crowd funding to raise $100,000 for post-production on “Mapplethorpe,”and the effort raised more than $114,000. Read about Eliza and Nate Dushku’s 15-year journey to making the “Mapplethorpe” movie by clicking here.